The university has received 44 applications from American undergraduate students compared to 29 at the same point last year. Twenty U.S. grad students have also applied, an increase of four. “I’m expecting those numbers to increase significantly in the next few months as American students apply later to schools in Ontario,” said Lionel Walsh, assistant vice-president, North American recruitment. Walsh said there’s been a real spike in U.S. applications since the Canadian dollar went into the tank. Windsor is further exploiting the U.S. greenback’s strength by undercutting its Canadian competitors with lower tuition. Windsor charges Americans US$11,600, which at Thursday’s exchange rate of $1.41 equates to C$16,356. Walsh said the average tuition charged for foreign students in Ontario is about $23,000 Canadian. According to the College Board in the U.S., the average tuition for a ‘moderate’ public state college this year is US$24,061. Tuition at a moderate private university averages $47,831. “We began to offer the special tuition four years ago, but it’s only been in the last three that we’ve aggressively recruited in the U.S.,” Walsh said. 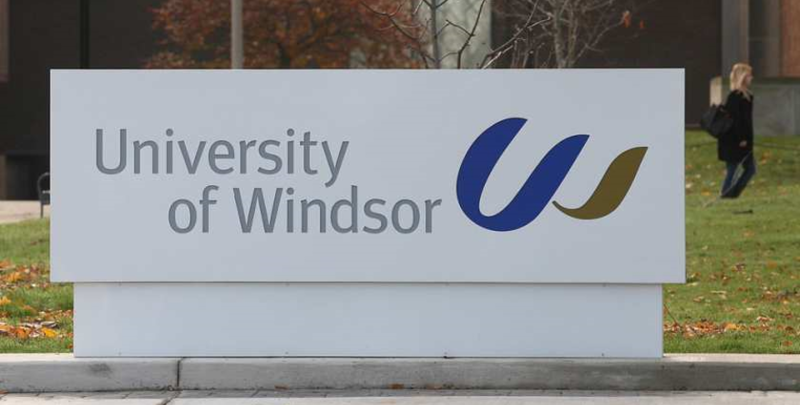 In addition to the financial advantage Windsor offers, Walsh said the university is exploiting its location and the variety of programs it carries. Americans, who require student visas, can work part-time in Canada as students and up to 18 months after graduation. It’s a sales pitch the university is now delivering further afield with each year. Windsor officials will be attending university fairs as far into Ohio as Columbus and Cleveland and will cover all of Michigan. To aid in recruiting, the school brings along faculty, staff, students and even American students to answer questions at presentations. Walsh said the challenges for the university are most American students aren’t thinking about going to school across the border. There are also questions about crossing the border. Walsh said the university is also attracting interest among athletes from the Detroit area. “We have one student from Michigan on our women’s basketball team and recently we had three football players from metropolitan Detroit over to talk to people in the HK faculty. We’re getting the student who is adventurous,” Walsh said. However, Americans remain a pretty rare sight at St. Clair College. The college has about a dozen U.S. students. “The U.S. market is a market we haven’t focused on,” said Mike Silvaggi, registrar and assistant vice-president of student services.